The Maltby DMB irons are the next generation of our proven classic 5 step true forged iron design. The lofts have been increased by 1 degree to a achieve a more modern loft progression along with improved finish durability and CNC groove dimensions. The DBM (Diamonized Black Metal) finish is a chemically implanted finish that is 2x more wear resistant, 3x more corrosion (rusting) resistant and 3x more scratch resistant than nickel chrome finishes. In addition to the added surface protection, the DMB finish is chemically implanted so there is no finish layer thickness added to the exterior finish as with nickel chrome finishes. 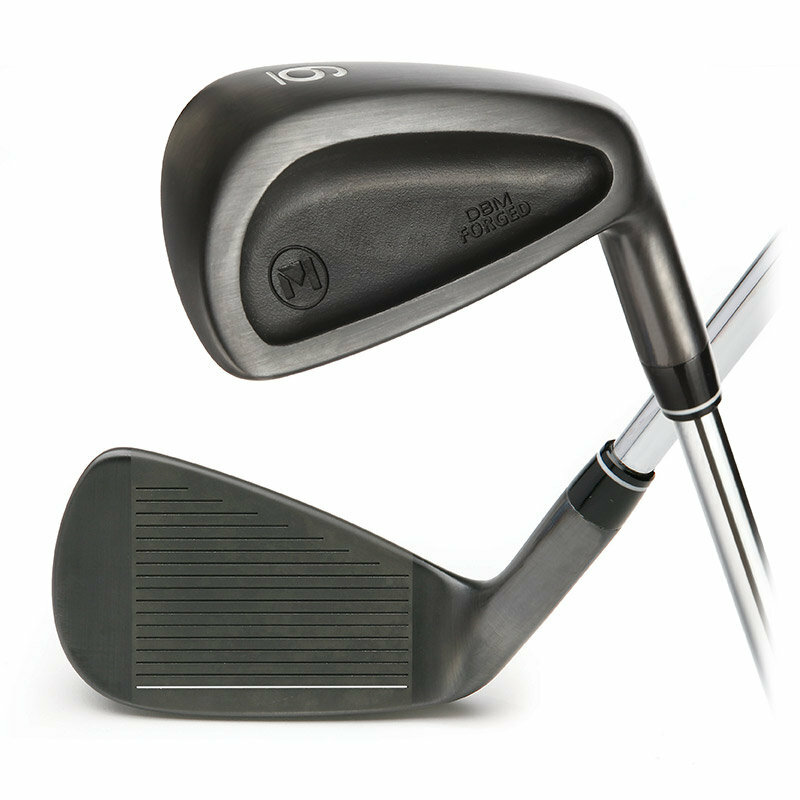 Because the grooves are machined into forged iron heads prior to finishing, the DBM finish actually increases the productivity of the grooves vs. chrome finishes by eliminating this outer finish layer. The DBM irons also feature precision milled micro grooves to improve the consistency of spin from all turf conditions.